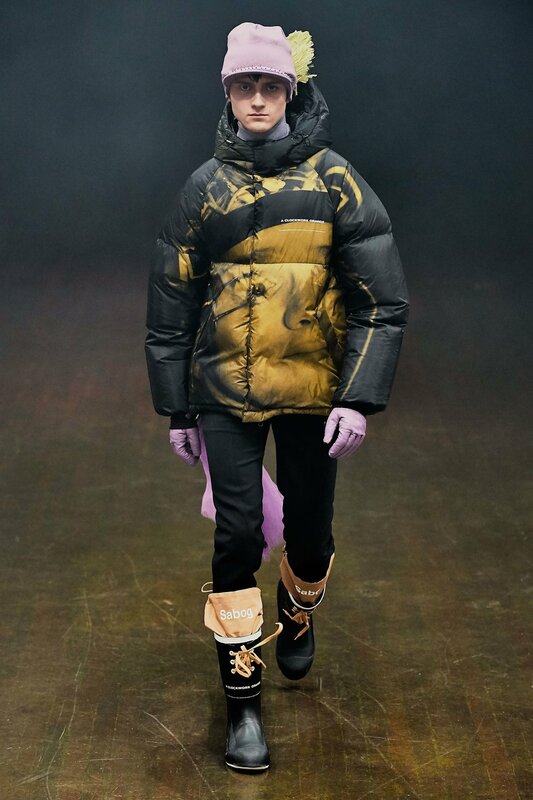 The F/W 19 Paris Fashion Week runway show for Jun Takahashi’s UNDERCOVER could only be described in one way, a true “horror show”. 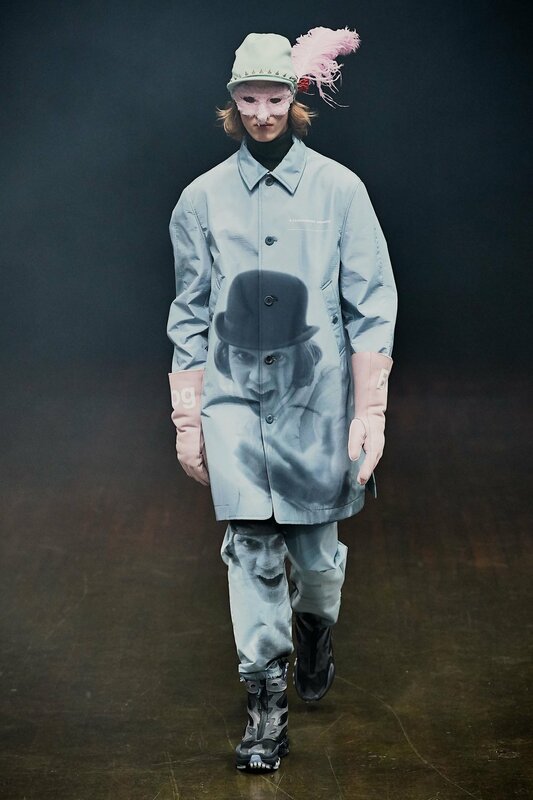 Calling deep inspiration from Stanley Kubrick’s 1971 adaptation of Burgess’ “A Clockwork Orange,” the show was adorned with a near perfect marriage of contemporary fabrications and renaissance inspired silhouettes featuring in your face all over photo prints of some of the most iconic scenes from the movie. 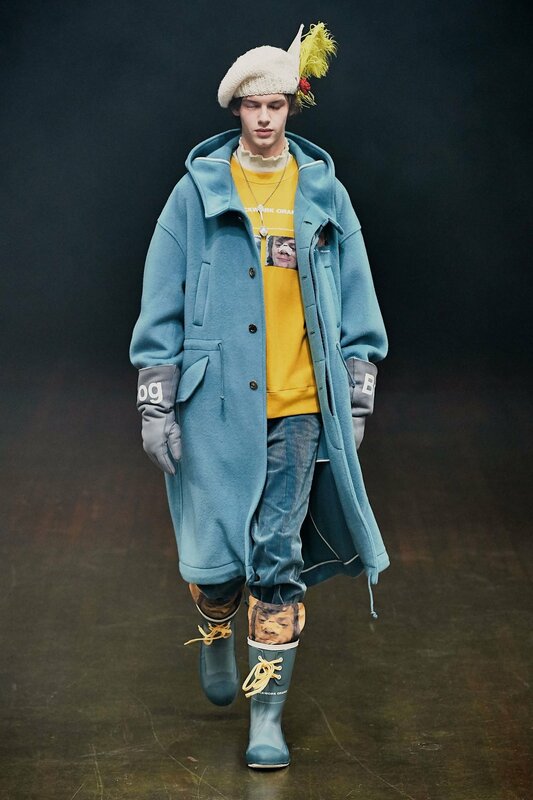 Some of the more “droogish” pieces from the show included chunky cable-knit fingerless gauntlets, a Valentino tailored corduroy work suit, and footwear collaborations showcasing a rare Doc Martens silhouette, a new Airmax 720, as well as a Nike React Element sneaker-boot that looks to be outfitted with surplus hospital equipment. 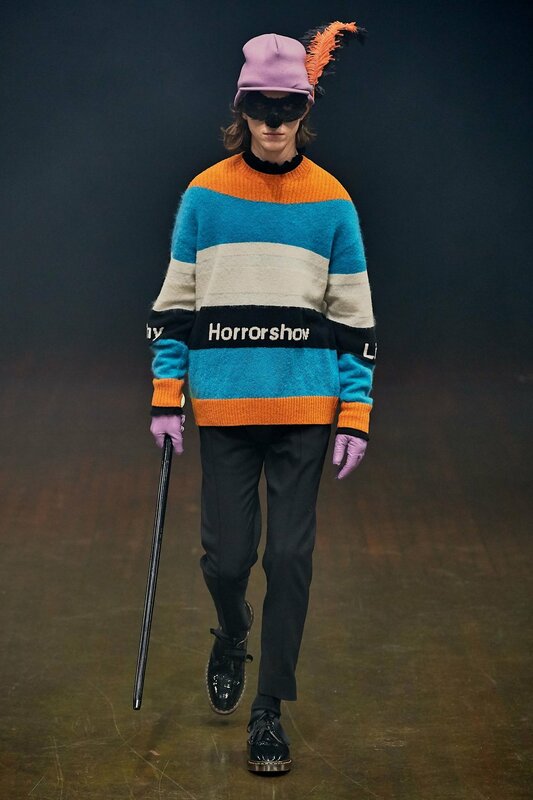 Vocabulary from the Burgess created Nadsat language emblazoned oversized knit sweaters and a collection of reverse shearling gloves. Extending the collaboration between Takahashi and Valentino’s Pierpaolo Piccioli was a win-win for the longtime friends. 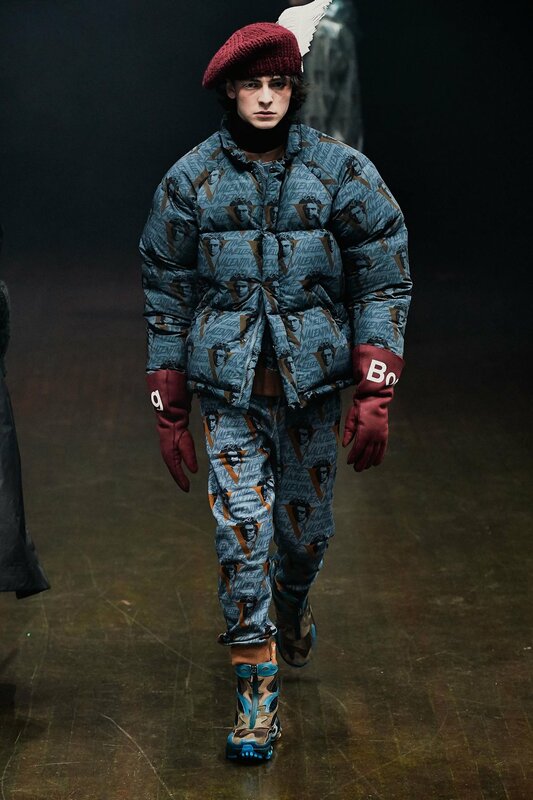 Creating crossover pieces featuring a “VU” collaborative logo and dreamy “Space Oddity” graphics superimposed over images of Beethoven allowed the two designers to explore the intersection in a modern street and tailored fashion. 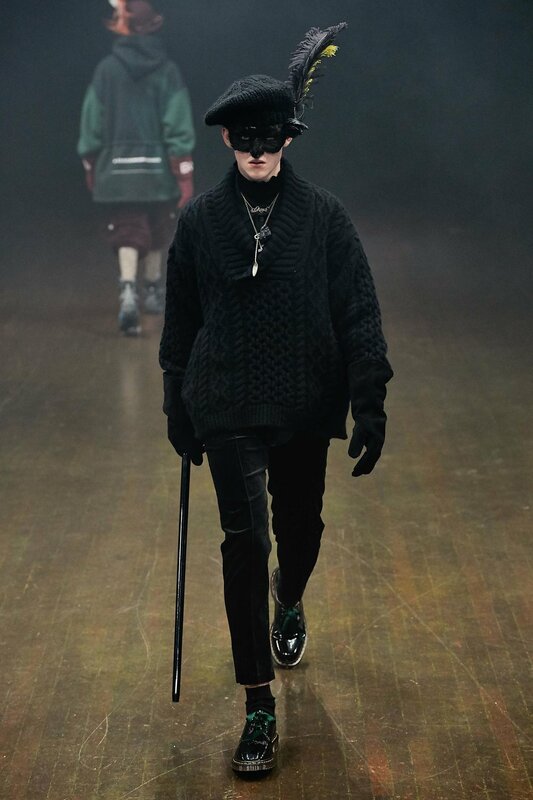 Opening the door for a more luxe product while allowing the wearer to float between two genres of fashion throughout daily life is the injection of adrenaline we need to see right now.